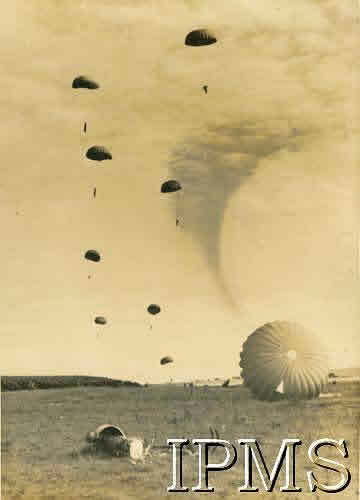 The RAF Ringway Central Landing School opened on 21 June 1940 and in November 1940 it took the first Polish Jumpers (4th Cadre Rifle Brigade). 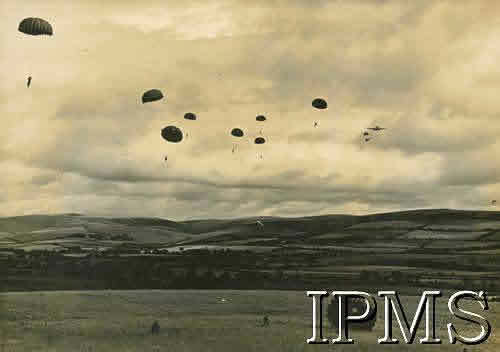 The jumps took place from a suspended air balloon at first followed by three jumps from an aeroplane furing the day and then 2 jumps at night time. 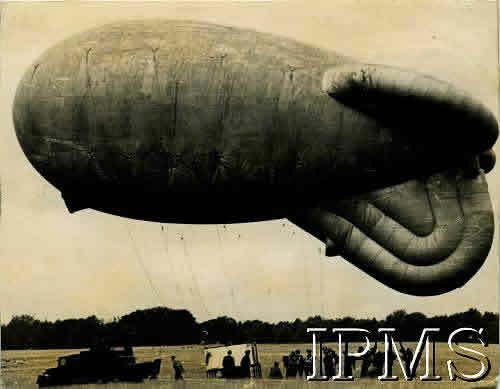 Initial jumps were done by parachute trainees from a suspended air balloon (looks rather like a re-purposed barrage balloon!). 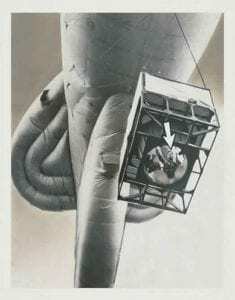 As you can see there was a gantry below the balloon that had a hatch. 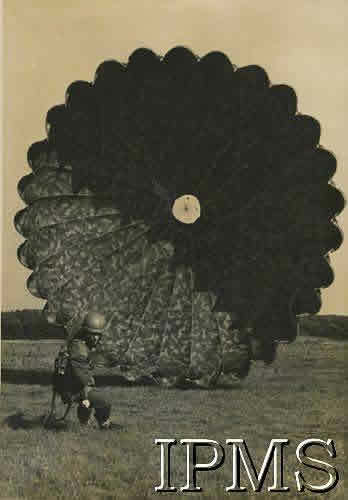 The parachutist would stand with a leg on either side of the hole and on the command "Go!" or "Skok!" would jump through the hole feet first. Most recruits will admit they were terrified, but nerves were not an option, General Sosabowski wanted fearless men and being a coward was not an option. Many ankles and legs were broken during landing, and this was after extensive training too. Thankfully, this chap seems okay!